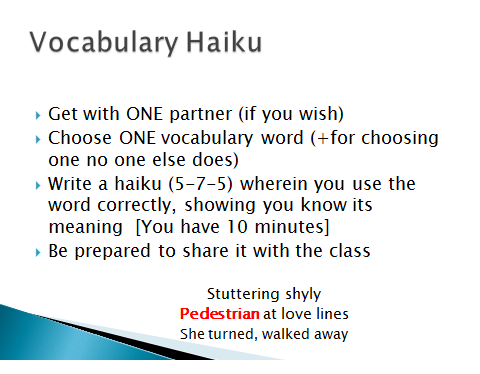 Since it is poetry month, and since the same old same old with vocabulary practice–and getting students to actually use the words they know– is wearing me to the bones, today we wrote Vocabulary Haiku poems. Was she worth your time? This just makes my heart sing. I love it as a librarian, as a poetry reader, and as a parent.